Had lunch with a friend today along with some light shopping. Some girls took a picture of what I was wearing,you cant properly see the black hat on it but oh well cos i bought another hat while shopping. The jacket i've got on is amazing its like woven goat hair. I think I'm kinda obsessed with you. 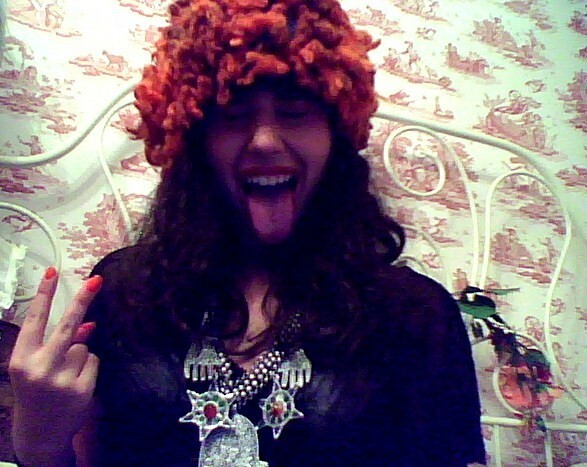 haha Seeeriously though, that outfit is amazing..especially the necklace. Your outfits always inspire me! amazing blog!! !beautiful pics!!! i'm following you! !if you like mine, do the same! !